Israeli President Shimon Peres has rejected the possibility of a ceasefire but said Israel does not intend to occupy Gaza. 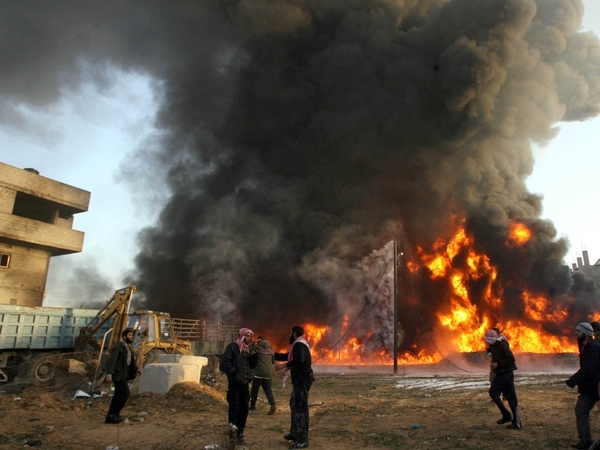 The death toll from the Israeli offensive against Hamas in Gaza has risen to over 500 as thousands of Israeli troops and scores of tanks advanced into the region. According to Palestinian medics, 70 people have been killed in the territory since Israeli troops began a ground attack yesterday. One Israeli soldier was killed and 30 others have been wounded, an Israeli military spokesman said. Meanwhile, international efforts to halt the conflict have floundered. The UN Security Council failed to agree the wording of a statement on the conflict, with the US giving strong backing to Israel. Israeli troops and tanks took over areas south and north of Gaza City. Heavy fighting was also reported around the northern towns of Beit Lahiya, Beit Hanun and Jabaliya. 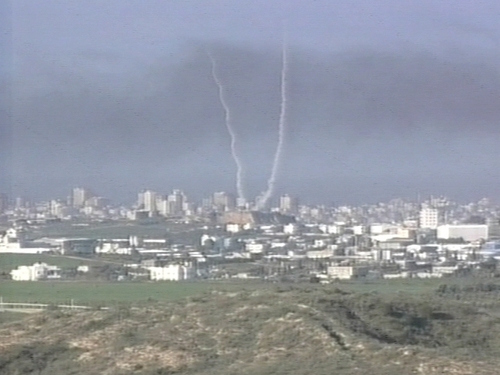 Explosions shook the enclave, home to 1.5m people, as the Israeli army took control of main roads. There was a constant clatter of automatic gunfire in the territory which has been under a tight Israeli blockade for months. More than 500 Palestinians have been killed in the nine days of ‘Operation Cast Lead’ and Israeli officials said the offensive could last many days. More than 80 children are among the dead. Four Israelis have been killed by the Hamas rocket strikes in the same time. A Hamas spokesman, speaking as troops crossed the border, said Gaza will become ‘a cemetery’ for Israeli soldiers. Witnesses said Israeli infantry and tanks had taken control of the Salaheddine Road, the main highway along the length of Gaza. In the occupied West Bank there are reports that Israeli soldiers shot and killed a Palestinian man during clashes. A 22-year-old was shot in the head in the West Bank city of Qalqilya during a protest against Israel's military operation in Gaza. The Israeli army said soldiers had shot a Palestinian during a riot near Qalqilya after warning the crowd to disperse. Israeli Prime Minister Ehud Olmert said the Gaza offensive had been ‘unavoidable’ but Israel would not open a new front in the north. 25 rockets and mortar rounds were fired across the border today and hit the towns of Sderot and Ashdod, although no casualties were reported. Schools in southern Israel remain closed. Streets clear as soon as siren alerts of incoming rockets are sounded by authorities. Taoiseach Brian Cowen has condemned the Israeli military action in Gaza. He called for an immediate ceasefire and the withdrawal of Israel from Gaza, as well as for Hamas to cease rocket attacks on Israel. He also expressed disappointment at the UN Security Council's failure to agree a call for a ceasefire. Earlier, the Minister for Foreign Affairs expressed grave concern over the Israeli incursion. Micheál Martin said he regretted the escalation of the conflict and urged Israel to halt its operation and withdraw its forces. Minister Martin also announced €500,000 in humanitarian aid for Gaza. France, meanwhile, has criticised the Israeli offensive that Palestinian president Mahmoud Abbas warned would have ‘grave consequences’ for the region. French President Nicolas Sarkozy was to hold talks tomorrow with Mr Olmert in Jerusalem and Mr Abbas in Ramallah. Turkey also condemned the air and ground offensive and called for it to end immediately. British Prime Minister Gordon Brown said the Israeli attack had created a ‘very dangerous moment’ in the conflict. The EU’s foreign policy chief Javier Solana called for an immediate ceasefire, adding that European nations were ready to contribute international monitors to help keep the peace. US Secretary of State Condoleezza Rice has cancelled a trip to China this week because of the crisis in Gaza. Ms Rice had been set to leave for China today, with stops in other Asian destinations, but she has now decided to stay in Washington and her deputy, John Negroponte, will go in her place. Israel has called a snap general election for 10 February, and the current leadership has widespread public support for the offensive.